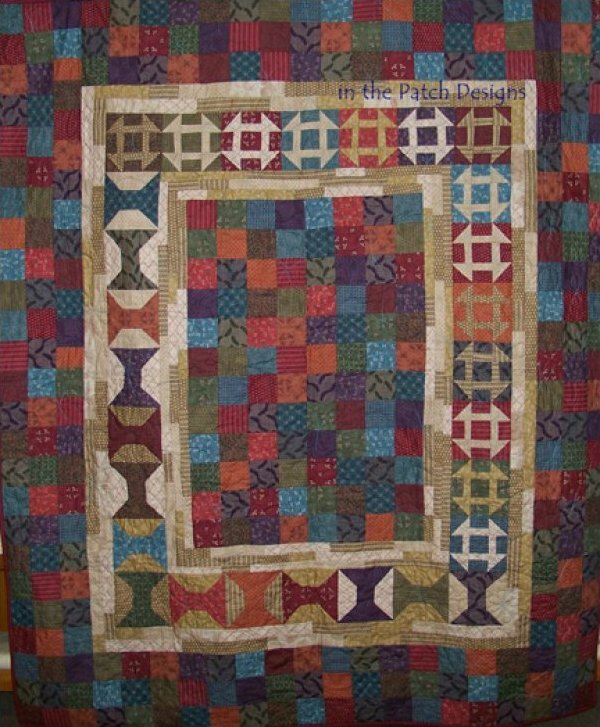 This little quilt measures 8" x 22". 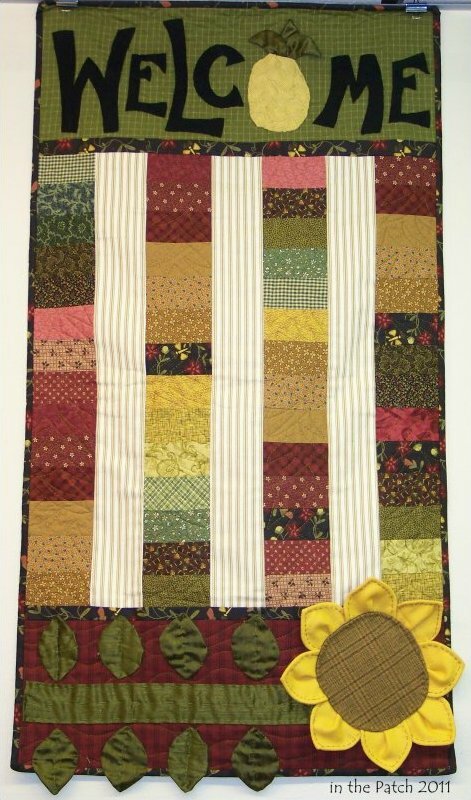 This kit includes all the fabrics for quilt top, backing & tabs plus it has the pattern in it as well. This kit includes FQ's to make the top. You will need to get the pattern & binding fabric. If you'd like me to select a coordinating fabric for your binding, send me a note in your checkout. It will take 1/2 yd for binding & 3-7/8 yds for the backing. Complete kit includes the pattern & fabrics for the top, binding & backing. This project measures approximately 28" x 60". 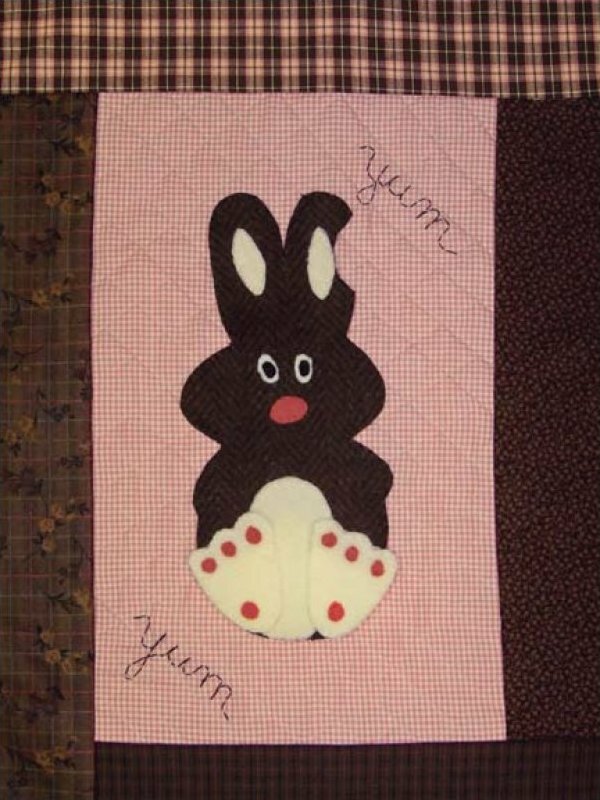 This little kit includes all the fabrics for the top, backing & binding PLUS the pattern AND the threads to hand-applique the bunny & words. Kit includes all fabrics for top & backing, wools too, plus the extra wide ric-rac AND the pattern. If you want more than one kit & don't need the pattern, make a note in checkout & I'll add the kit price without the pattern ($22.95).